The Kingsmill marina in Williamsburg VA features 15 transient boat slips, concrete floating docks, water and power connections, dockside fuel service and a harbor shop. Docked boaters have access to the resort. You are welcomed as a guest at the Kingsmill Sports Club, play golf, visit the spa, tennis facilities and all Kingsmill Resort restaurants. Boaters can also enjoy boat-stocking services with food and beverage. The Marina at Kingsmill offers more than just a place to tie up. It’s easy-access to a day spent on the water, taking in the best views of Williamsburg’s attractions. Get your adrenaline fix as you zip along on your own personal watercraft or slow things down and spend a relaxing day cruising on a pontoon boat. All experiences are available for rent at the Marina. Weather dependent into the fall. Call for hours of operation: 757.253.3919. Just around the way, the secluded Wareham’s Pond provides a number of additional activities for resort guests and visitors. Kayaks, paddleboats, standup paddleboards and Jon boats are available for daily rental at the Marina. Fishing is also available from the resort’s standing pier, equipment and fishing licenses are sold at the harbor shop. The highlight of any visit to Kingsmill is the James Landing Grille, located next to marina. Learn more. Severn Yachting Center in Gloucester VA is home to EPIC Yachting’s 50+ acre yachting complex situated just off Mobjack Bay, approximately 6 miles to the Chesapeake and 25 miles to the Atlantic. Largely undeveloped and extraordinarily picturesque, this region of the Chesapeake provides tranquil cruising grounds and safe anchorages – yet is located within 45 minutes of three international airports, extraordinary golfing facilities, white sand beaches and charming historical areas. We offer all the amenities and comforts you’d expect from any first-class marina, but with a special feeling you’ll only find here. A friendly, laid-back home for you and your boat where you’ll be known by name, not by a slip number. Come and experience the warmth and congeniality of the community of families, friends and neighbors we call Severn Yachting Center. Coupled with our state of the art yachting facilities and unsurpassed dedication to customer service, we think it’s paradise. Crown Pointe Marina is a 200 slip marina located just minutes off the Chesapeake Bay on the York River in Historic Gloucester, Virginia. The marina was formerly operated as Cooks Landing Marina and is still carried on some chart books under its former name. Amenities, include pools, WIFI, air conditioned and heated bath houses for members only. 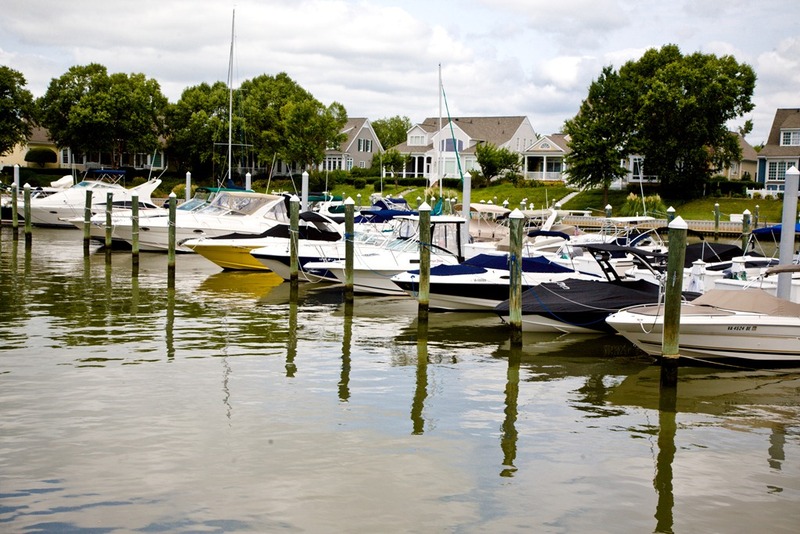 The marina is beautiful with easy access to the mouth of the York River and Chesapeake. Located on the Perrin River, a protected harbor just past Jenkins Neck.Crown Pointe Marina has a full service yard, with a 20 ton travelift and a dry storage yard for small projects or complete overhauls of your boat.